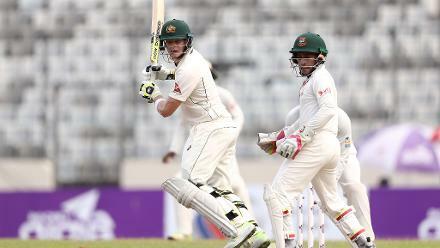 With the match completely in favour of the hosts, Pat Cummins put up a fight with an unbeaten 33, but ran out of partners at the other end. 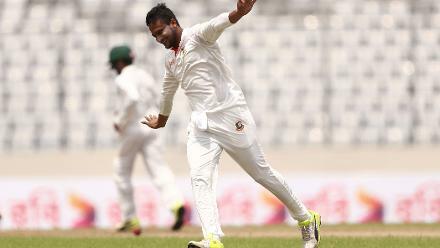 Shakib Al-Hasan struck at regular intervals and finished with figures of 5 for 85. 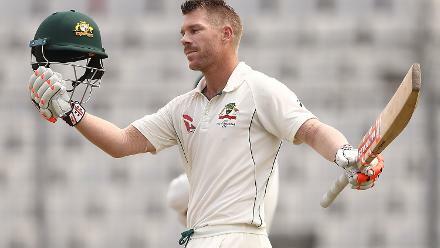 Resuming his innings on Day 4, Warner went on to score his 19th century. 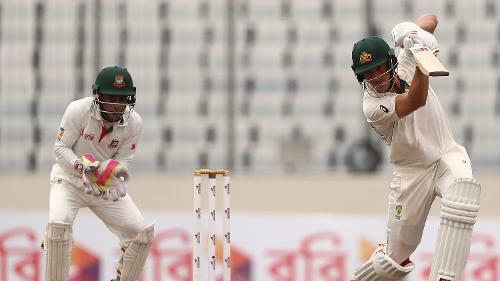 His 112 off 135 balls was the highest score for Australia before he was castled by Shakib Al Hasan. 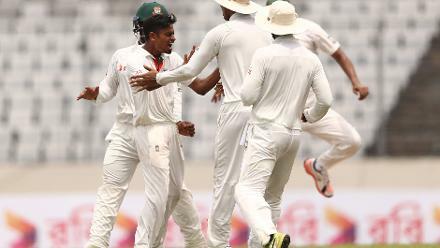 Steven Smith looked settled with his sedate 37 off 99 balls before Shakib Al Hasan accounted for his dismissal as well.